Cross six, eight or twelve bridges of the Sudbury River and see up to three more, including one that George Washington crossed. 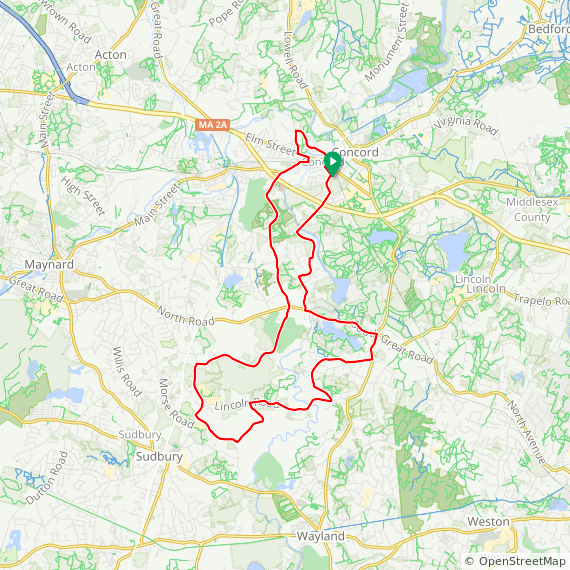 Cruise along in the beautiful Sudbury River valley with 4-6 hills to keep you warm. Experience beautiful Pelham Island Road paving on the two longer routes. There are NO BATHROOM FACILITIES at the start. Consider the coffee shops at the stop light and please make a small purchase. Starbucks and Dunkin Donuts are at the intersection of Sudbury Road and Thoreau St., just across the RR tracks from the start. The arrows (white thermometer) are labeled: S=19 miles, L=27, XL=36. Please print your own CUE SHEET if needed before coming to the ride. Limited paper copies will be provided at the start to NEW riders. You can print cue sheets from the RideWithGPS app. 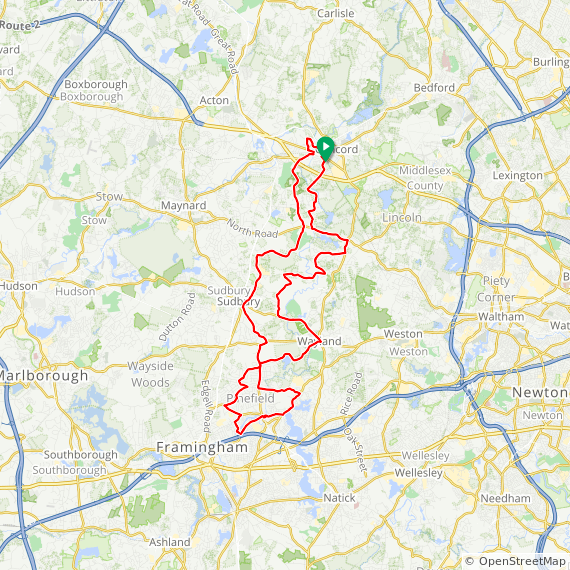 Leaders will offer no-drop group social rides for those who want for all three length rides, 19, 27, and 36 mile routes. Plan on pace average 12-14 mph for all routes. Take Rt. 2 West. Turn Right on Sudbury Road (3rd light from Rte. 128) in Concord. Parking lot is about 3/4 mile on the right before the tracks. Please park ONLY IN COMMUTER SECTION away from the stores.